Belthazar, the Destroyer was actually decided in a few parts. When we first got him he was the epitome of “gnarly” and so he needed a fitting name to go with that. He was an awful color combo of a really sickly white/orange and black fins and a hefty amount of fin rot, he was basically see through with completely black fins. So we thought it fitting to name him something awful…My SO suggested belthazar (A demon from the show charmed) and I agreed. On our way home, repeating it over and over. I decided he needed something extra to completely encompass his intimidating demeanor. I suggested adding “destroyer of worlds” but that seemed like too much for our little half inch fish, and we decided to leave it at “The Destroyer”. When my SO and I first picked our Betta out it was spur of the moment type thing in the grocery store. My tank had only been cycling for about 3 weeks and when we walked past the fish in the grocery store we knew poor Belthy would never get picked. He was very small, very discolored, and sickly (fin rot). I had seen him the few weeks prior also, and it was clear that his situation was quickly deteriorating as he was being pushed further and further back behind some other very beautiful Bettas. This particular time my SO decided that we had to save him, as we were sure that he wouldn’t be picked by anyone else. So we picked him up, along with the highest quality food we could find and plopped him into his tank. 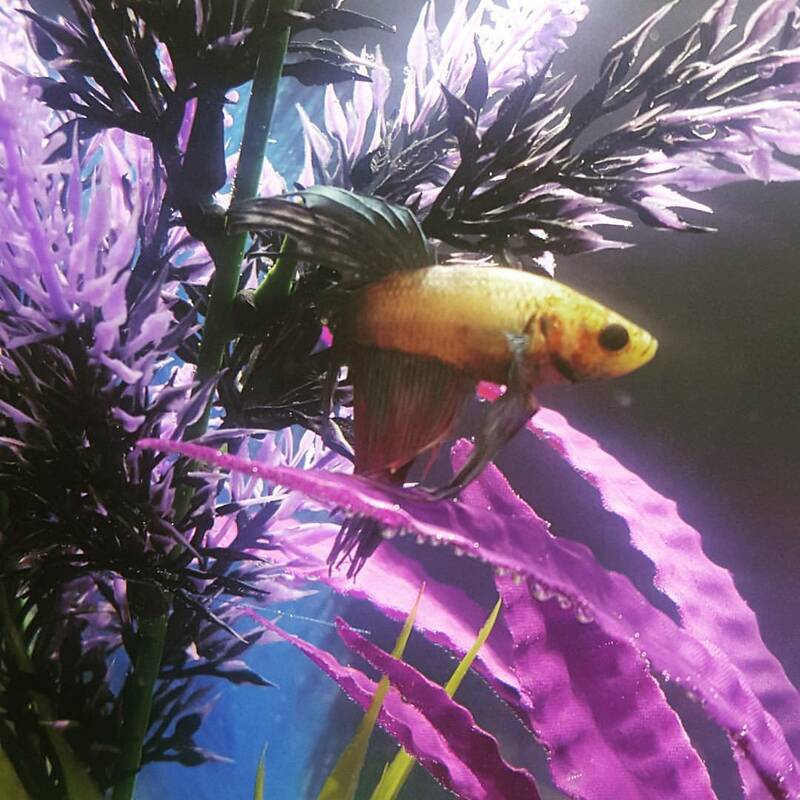 My Betta is a reminder to stay strong and to always have the strength to carry through. If my fish can do that so can I!! I just wanted to add in some extra photos of my Belthy. This one is from day one (http://i.imgur.com/jWvMD78.jpg) as you can see he was in rough shape… And this is the rest of the album from a month after! 🙂 (http://imgur.com/a/VZEKV). Thanks so much for taking a look at Belthazar, the Destroyer and I hope you enjoyed the read!